Are you having a suspicion with someone? Do you plan on going on a date with someone that you met in one of the many online dating sites today? Is this the reason why you’re at this TruthFinder review? Well, you are in luck because I am going to give you ideas about TruthFinder. In this way, you will know what to expect once you decide to sign up and log in on this site. Nowadays, meeting people has become easy because of the goodness of our internet. There are now a lot of dating sites where people can find someone that they can be friends and have a date with. This is possible nowadays because of the hundreds of online dating sites. But this doesn’t mean that you can just meet up with whoever you meet online. This is where TruthFinder will come in, especially if you want to make sure that you’re meeting with someone nice. Before you get dressed and get all too excited about your date, running his or her name on TruthFinder will be ideal. Below are all of the information that you need to know about your date. 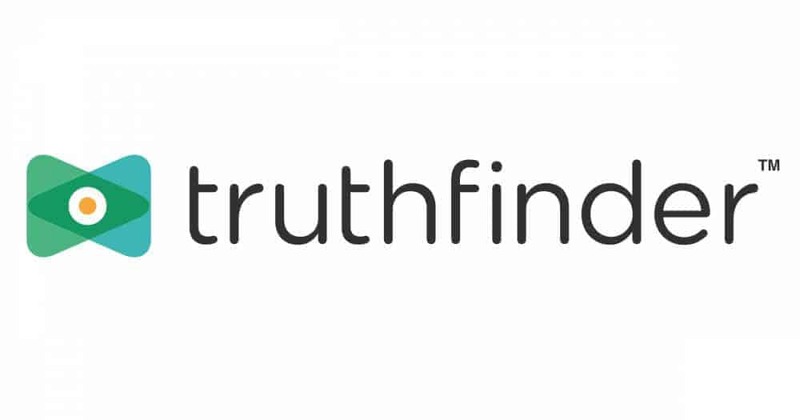 For people who are not yet familiar about TruthFinder, this is a people search website. This means that all the public records can be found on this site and are not confidential. Some of the information that you may get are voter registration, death, marriage, birth, and court proceedings. All of this information are made available to the public because of the FOIA or the Freedom of Information Act. They are available to anyone who will request them, though there is some information that can be challenging to obtain. This is where TruthFinder will come because it made searching for a person more comfortable and quick. TruthFinder is a website where you can browse and search for certain people in the US. By searching, you will be able to gain access to different information, including contact information, background checks, criminal records, and so much more. You will get all the required information since TruthFinder will provide hundreds of their data from different sources. Some of the sources can include social network data, public records, a federal database, county, and state. The results, on the other hand, can be accessed through your computer, tablet, and mobile phones. You shouldn’t worry because it is 100% confidential. Whether you are looking for an old friend or you’re trying to get to know the person that you have just met online, TruthFinder will surely help you. One of the best things about TruthFinder is that they offer different information depending on the things that you want to find out about the person that you’re investigating. Of course, we will be discussing each of them below. In this way, you’ll be able to maximize all of the features of TruthFinder. When using TruthFinder, the first thing that you need to do is to key in the person’s first name and last name. It would also be best if you can include the state as to where the person currently lives. Once done, you will be taken to a specific page showing you the result. You will be able to see the name, address, current or even previous locations, and also his or her relatives. Now, if there is more than one person, then the matches will be sorted out based on their last name. Once you see the name of the person that you’re looking for, all you have to do is click the button that states Access Report. This will provide you with all of the details that you need. But before that, you will be prompted with a warning saying that you may see some graphic content and that you have the option to opt out. TruthFinder offers different subscriptions to help you with all your researching needs. These subscriptions will help you get access to unlimited information. Here are the available subscription plans that they have available. Five day trial costs $1, but once the trial ends, your subscription will automatically be continued for a month. Your card will be billed $16.71 if you have not yet canceled before five days. You can cancel your trial or your subscription plan by calling their customer service at (800) 699-8081. Members on TurthFinder can easily use the site to search for people that they want. All they have to do is to enter the name of the person, age range, and the last known location of the person. Once done, you can click on the reports available so you can see information about the person. Remember that the information will only be available if there are any. You can also use the email address of the person or address or the number as these things will also help you find the people that you are looking for. Even, you shouldn’t worry about anything because TruthFinder makes sure that everything is confidential and safe. This is by using an SSL certificate, which is secured and a 128-bit encryption. Once you enter the name of the person, you will be able to see all of the information about the person that you’re searching for. You will even see photos of the person and some other information. This will include fishing and hunting licenses, bankruptcies, assets, business affiliations, and as well as neighbors. Unlike searching through search engines today, it may take hours before you get to find some legitimate information about the person. So it is always best to use TruthFinder when searching for people. Another thing that you can do about TruthFinder is a background check. When doing a background investigation or background screening, you will be able to see any public records that are related to organizations or an individual. Some of the public records that you will be able to check are financial records, commercial records, court records, and criminal records. With TruthFinder, you will also be able to include some information about relatives and associates. The reason why you’re getting this information is because of the migration of public records online. Background checks can actually take as short as three days to a week. Whereas using the FBI background check can actually make a maximum of 15 weeks. But if you are going to use TruthFinder, then it will only take seconds for you to get the information that you need. Names of possible roommates, business associates, family members, and friends. Their birthday and age if you know. Their last known state or city or where they live just recently. Email address or their contact number. You can use one of the above to help TruthFinder find the one that you’re looking for. Some of the things that you can see about the person are his or her personal details, date of offense, the location of the crime, and category of charge. Also, you can check the description of the attack, court name, and the case number. According to the data in the year 2010, there are violent crimes that occur in the US ever 25.3 seconds. There are also two people murdered in one hour, and there are roughly ten people who are being raped every day. So it is ideal for making sure that you conduct an investigation about the person that you’re planning to meet or date. Another record that you can access when using TruthFinder is public records. These records are not confidential at all, which is why they are available to the public. But remember that every state has their own law so there may be some information that you may not find in a particular state and can be available in some. Some of the most common kinds of public records are bankruptcies and liens, criminal and arrest records, divorce and marriage records, and death and birth records. Whether you are searching for a person that you’re planning to meet or searching for yourself, then TruthFinder will surely help you find what you’re looking for. Lastly, if you are trying to search for public records that are not free, then you will be given an option to purchase them at a certain amount by TruthFinder. Gone are the days where you can look up an address or Phone on the white pages. It can be quite challenging because the fonts are small and you can’t do a quick search. With TruthFinder, you should not worry about anything because all you have to do is to type in the address or phone of the person. One of the best things about the reverse address or phone lookup is that they are very detailed. You will be able to see the person’s name, age, first seen, last see, and other reports. You will also be able to see any location details of the person and even a satellite map. Everything essential that you need to find will be found on TruthFinder. The first sign that your information has been compromised online is if you are getting ransom messages. This is where you will be asked to pay if you don’t want them to sell your information online. Typically, if you reboot your computer, the messages won’t push through anymore. The only problem will arise if you haven’t backed up your data yet. It’s either you risk losing all your data, or you have to pay your ransom. If you’re okay with losing your data, then reboot your computer immediately. Another sign that your information has been compromised is when you suddenly stopped receiving your bills. The chances of the thief taking over on your account are high. He must have changed your billing address, and this can cause issues in the long run. So if you are not receiving your bill, it would be best to contact the creditors to know if there are any changes in your information. If you have been getting bills about the purchases that you’re getting then, this means that your credit information may have been used for other purchases by someone you don’t know. Check your credit statements, and if you find anything suspicious, then it would be best to contact your bank to report the suspicious purchase. This will also help the store to alert your bank, or the authorities catch the thief. Majority of the apps and smartphones today have two factor-authentications wherein you will be alerted that another device is trying to use the app that you already have. This is an excellent way to detect someone who is trying to steal your identity. TruthFinder can help you get to know the person that you are planning to date or is currently dating. But what if you have searched too late and the person that you’re planning to date is someone you can’t really trust, there are still a lot of things that you can do. This is most especially if you suspect that your information is already on the dark web. Below are some of the tips on how you can deal with this as soon as possible to contain the problem immediately. The first thing that you need to do is to assume that your bank accounts and credit cards are now compromised. Majority of the big banks today have fraud specialists who are dedicated to helping people change their credit card information. Once done, always make sure that all your credit and bank statements are free from any purchases that are fraudulent. The next thing that you need to do is to make sure to file a fraud alert on your credit reports. This will help ensure that your credit will stay protected once the scammer starts to damage it. Scammers make take out some credit cards or loans under your name. So always make sure to check your statements. The good thing about filing a fraud alert is that you can just use one agency. The alert will usually last for 90 days. If you want to extend it to seven years, then you can file a fraud complaint to FTC and a police report. If you are going to visit the authorities, it would be best to bring proof with you so you can go to the authorities. This is the ideal thing to do if any amount of money was stolen on your account. You can also go to the police if there are any accounts opened under your name. Provide all your bank account details so they can document everything. If there are any unauthorized purchases or loans, then breeding all your credit reports would be best. You can get this for free if you provide the agencies with a police report. If you don’t have any, you can just pay $10 to free your credit. In this way, no one will be able to open any new accounts under your name. It would also be best to freeze any credit reports of your children if you have any or your family. The reason behind this is because a thief will usually try to steal all of the identities of every person living in that same address. Of course, since you are suspicious that your account might be compromised, you need to change all of your passwords. In the dark web, passwords can also get on sale. So it would be best to change your password if things like this happen immediately. After documenting everything from the FTC and police, you need to create copies and make sure to mail them to the creditors. If you are someone who becomes a victim of any transactions that are fraudulent, it would be okay to ask your creditors for copies of transactions so you can file it. Also, you can send a letter to your billers, in case someone uses your bill information as a form of identification. If you think that your Social Security number has been compromised, then it would be best to contact them immediately. You can file a report online to make it more convenient for you. The last thing that you need to do is to make sure to change your driver’s license number. The reason behind this is because it can also be used as an identification. Getting a new one at your DMV would be best and inquiring about the paperwork needed would be best. Whether this is your first time meeting someone that you met online or not, conducting a quick investigation about the person won’t hurt. It can be confusing to figure out who to trust and who to ignore. That is why TruthFinder is here to help everyone find out if they are meeting with someone with a clean record or someone who will do nothing but harm to you.